Nona Kurdovanidze Project Coordinator at the Georgian Young Lawyer’s Association. There are no accurate statistics about the number of homeless families living in Georgia. The homeless people have been particularly active in reminding the state of their existence following the October 2012 elections, when they occupied a number of buildings in Tbilisi, staged protest rallies, both illustrating the seriousness of the problem and calling on the state to take measures to provide housing. It is not my intention to discuss effectiveness of their protest; instead, I am going to address the state policy to remedy the problem. First, we need to define homeless people. They can be divided into the following two categories: IDPs and non-IDPs. The state employs two different approaches for these two categories of homeless people. It recognizes harsh social and economic conditions that IDPs are in and aims at providing them with dignified conditions for living. To this end, the Government of Georgia adopted several years ago a Strategy and an Action Plan for implementation of the Strategy on IDPs, reiterating the state’s obligation for reintegration and long-term settlement of IDPs. There are around 270 000 IDPs living in Georgia. As of December 2012, since 2009 when the Action Plan was adopted, total of 82 559 IDPs (27 202 families) have been provided with durable housing, and 12 229 IDPs (5 263 families) have received pecuniary compensation that they chose over a housing. The data illustrates that the problem of IDP settlement remains unsolved due to slow implementation of the Action Plan or other reasons. As to providing homeless non-IDPs with housing, even though by joining applicable international agreements the government of Georgia has recognized the right to adequate housing, it has not yet elaborated a unified vision for addressing the problem. National legislation stipulates the state’s obligation to provide shelter (a place to stay overnight and food) for the homeless; further, the Social Services Agency has an obligation to maintain a unified register of homeless people registered with local self-government authorities. Nevertheless, legal gaps hinder maintaining the unified register and therefore, accurate statistics on the number of homeless families in Georgia are not available. Absence of data makes it impossible for the state to plan and implement an effective policy for tackling the problem. 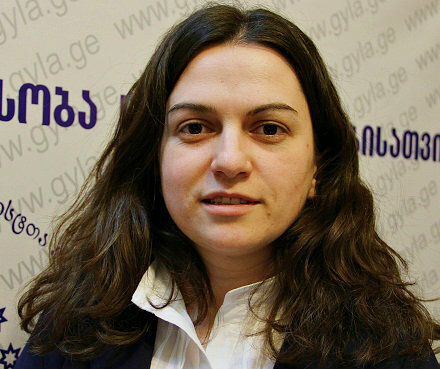 Nona Kurdovanidze is Coordinator of the Project ‘Innovative and Durable Solutions to Displacement‘ at Georgian Young Lawyer’s Association.